If you choose to work with Magic Stone we expect that you too will have positive things to say about us. We take great pride in our work and believe our outstanding customer service and masonry skills surpass our competition. 35-40% of our business derives from customer referrals and we look forward to adding you to our ever growing percentage! Enjoyed our experience with Magic Stone, I think they did an excellent job rebuilding my chimney. Just a few lines to let you know how satisfied we are with the work done by you on April 23rd, 2010. We appreciated your promptness, professionalism and the way you matched the brick was a real bonus. Thanks again for a job well done. Thank you very much for a job well done. 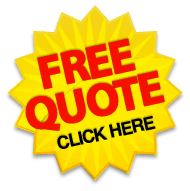 You provided us with a very reasonable quotation to repair our fireplace chimney. I felt very comfortable from the beginning…you listed everything in your quote. Your crew showed up on time and did a great job repairing and re-pointing. Even though the it was cold and very windy your crew finished everything as promised. I do not know how you did it, but the replacement bricks matched perfectly. Upon completion everything was cleaned up including the roof. I will recommend “Magic Stone” to all my friends and relatives. Thanks Again! – John & Patricia B.
I was very satisfied with the work that Magic Stone performed, very professional thank you! First I wish to thank Kaied for taking the time to explain all the details of our quote brick repair. His expertise was appreciated. The foundation repairs performed was done on time and to budget! They did an excellent job. I would not hesitate to recommend Magic Stone to anyone thinking of having foundation repairs or brick work completed to their home. Magic Stone was perfect everyone was very good and did a great job. They worked with me on everything that I needed to do to get things in order to complete my project. I would highly recommend them to family and friends, everything was perfect. Magic Stone was very good, very polite (I never heard yelling or swearing from their crew) they conducted themselves very professionally. I would recommend them to friends and family, I even had to run out for a bit and I felt very comfortable leaving my home unlocked with Magic Stone there completing my project. My husband was even delighted he did not try to do the job himself and had Magic Stone take care of it. Magic Stone was wonderful, great job. They went out of there way to show me what was done, and stayed out of the driveway when I asked them too. They where very courteous, polite and professional. Everything went perfectly fine no troubles as I did not expect to have any. I would call Magic Stone again should I need any further projects done on my home. Earlier today, your company did a rebuild of my chimney on Miriam Ave. in Blasdell. I wasn’t at home while you guys worked on it, so I wanted to take a moment to express my appreciation and to say that it looks amazing. I am very happy with your company, from the free estimate, the quick service, and the outstanding job you guys did. You can be sure that if I ever need a job like this done in the future, I will be calling you. Furthermore, please feel free to use me as a referral if anyone in the future would like to see an example of your work. The foundation and chimney work that Magic Stone completed on my home looks great, everything was completed as described to me. I just want to let you know how pleased I was with the work that was completed by Magic Stone Construction. Quality of work completed was EXCELLENT, very neat and professionally completed. This is a great contractor to keep on your list for members. It was nice to see a contractor that not only knew what they were doing, but also completed the work in a very professional manner. I was very pleased with the professionalism of Magic Stone and the work they performed, they worked very quickly and cleaned away all debris before leaving. We have Magic Stone repair our porch and chimney stack. They were able to compliment the existing 48 year old brick and did a wonderful job. The workers were delightful, courteous and meticulous. I would definitely call for the next brick job! Very satisfied with the work that was completed, pleased. They were very well mannered. I had a wonderful experience with Magic Stone (employees), they were great rebuilding my chimney, they enjoyed my coffee I made them and was able to remove a boat for me that was sitting in my yard for over 3 years. Needed several courses of brick removed and block re-layed on older commercial building, Magic Stone did a terrific job fast, friendly, cleaned up all debris and made recommendations as well to preserve to length of masonry on my building. Thank you! I am very happy with the results. Everyone was very professional with just the right touch of friendly! They explained everything they did and told me why it was done that way. My chimney and steps look great! I would recommend Magic Stone very highly! Magic Stone put a new porch on our house in 2008. We were most pleased with their workmanship. The workers were professional and very clean. We highly recommend them. Magic Stone completed my project on time and to budget, they were very responsive and dependable. Magic Stone was professional, polite and courteous we where totally satisfied with the work they performed. Everything is all set and I am completely satisfied with the angle irons and pointing that was done. Good job, done on time.